Between them, the newscasts anchored by David Muir, Lester Holt and Jeff Glor were seen by an average of 26.9 million viewers each weeknight last week. If they were seen in prime time, both ABC’s “World News Tonight” and NBC’s “Nightly News” would be top 10 shows. Their audiences are older, which makes them far from trendy, but loyal. The mid-winter, when they air when it’s dark outside and — particularly last week — when the cold is punishing in much of the country, tends to be their most-watched time of the year. Muir’s broadcast, seen by 10.1 million each night last week, is the most popular most weeks. Otherwise, the Super Bowl dominated television’s week. While the game is annually the most popular program of the year, it is showing erosion. The game’s television audience of 98.2 million viewers is 16 million fewer than four years ago. 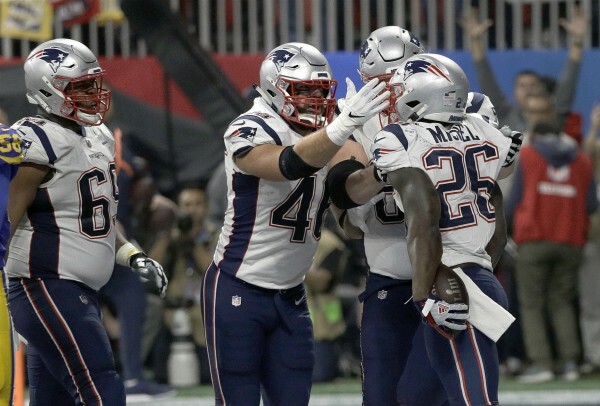 CBS won the week with a Super Bowl-aided average of 20.9 million viewers. NBC had 4.2 million viewers, ABC had 3.8 million, Fox had 2.9 million, ION Television had 1.42 million, Univision had 1.37 million, Telemundo had 1.1 million and the CW had 1 million. Fox News Channel was the week’s most popular cable network, averaging 2.12 million viewers in prime time. MSNBC had 1.81 million viewers, HGTV had 1.27 million, USA had 1.25 million, while Hallmark and History finished tied for fifth with 1.16 million. After ABC’s newscast, NBC’s “Nightly News” had 9.6 million viewers and the “CBS Evening News” had 7.2 million. Below are primetime viewership numbers compiled by Nielsen for Jan. 28-Feb. 3. Listings include the week’s ranking and viewership. 2. “Post Super Bowl, Part 1” (10:05-10:12 p.m. ET), CBS, 81.96 million. 3. “Post Super Bowl, Part 2” (10:13-10:35 p.m. ET), CBS, 54.2 million. 4. “The World’s Best,” CBS, 22.21 million. 5. “The Big Bang Theory,” CBS, 13.67 million. 6. “Young Sheldon,” CBS, 11.59 million. 7. “America’s Got Talent Champions,” NBC, 10.45 million. 8. “Blue Bloods,” CBS, 9.13 million. 9. “Mom,” CBS, 8.56 million. 10. “Super Bowl’s Greatest Commercials,” CBS, 7.93 million. 11. “The Masked Singer,” Fox, 7.88 million. 12. “Hawaii Five-0,” CBS, 7.87 million. 13. “Grey’s Anatomy,” ABC, 7.28 million. 14. “Ellen’s Game of Games” (Tuesday, 8 p.m.), NBC, 7.05 million. 15. “Ellen’s Game of Games” (Tuesday, 9 p.m.), NBC, 6.99 million. 16. “MacGyver,” CBS, 6.96 million. 17. “NCIS,” CBS, 6.59 million. 18. “The Good Doctor,” ABC, 6.58 million. 19. “The Bachelor,” ABC, 6.45 million. 20. “Fam,” CBS, 6.05 million.